Where glimpses of Game of Thrones’s seventh season are concerned, HBO has been intensely stingy. To date we have one trailer devoid of any plot hints—and we also know that Ed Sheeran, rosy-cheeked purveyor of Nice Guy Rock, will make a cameo appearance. 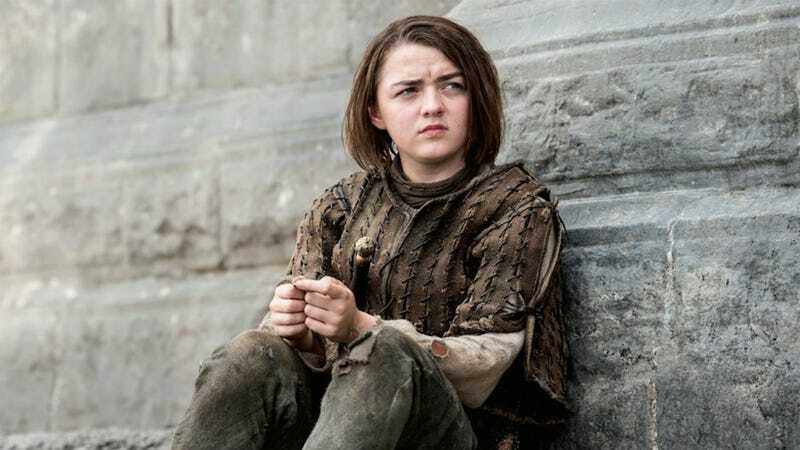 We’ve acquired a bit more information on that front: Sheeran’s character will sing to bite-sized badass Arya Stark, who has already suffered more than enough, don’t you think? As the A.V. Club reports, the scene features Arya, who hears Sheeran sing and remarks, “Oh, that’s a nice song.” Coming from Arya, this assessment could carry different meanings. And for all we know, she means what she says—that listening to Ed Sheeran warble and white-guy-rap is a pleasant experience. That would be tragic. Readers, I ask you: is this the face of a man who survives Westeros’s brutal quotidian life? Apparently, this cameo was conceived as a treat for Maisie Williams, the absurdly talented actress performing the role of Arya. Williams is quite the Sheeran fan, and to that I say, well, we all have our foibles. Perhaps Arya can still do us proud.